Tantrums are one of the many aspects of the so-called “terrible twos” that make these early years so “terrible”. As children learn to grapple with their feelings and process emotions along with what goes on around them, tantrums can develop in their wake. While tantrums are often seen as a bad thing, there may be a silver lining. As an adult, you may know how stress-relief can help to significantly change your mood. The same can be true for kids with tantrums. Before they are able to learn about, understand, and know to rely on coping mechanisms like exercise or even a nap, kids may resort to crying, whining, and throwing a fuss. Tears actually contain the stress hormone cortisol. When we cry, we are literally releasing stress from our bodies, which is what kids do when they cry while frustrated. Kids tend to cry for many reasons and not just when they are sad. Tears have also been found to lower blood pressure and improve emotional well-being, and for kids, releasing tears can be just what they need to relieve the stress and frustration they are feeling. 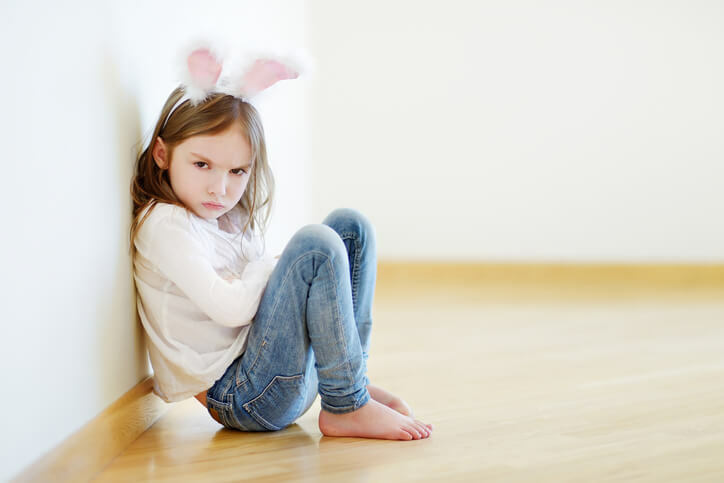 For many kids, after an initial outburst, their moods improve. Especially for young children, this can be a sign that your child is at least expressing emotion and getting it out instead of keeping it bottled up inside. Kids often tend to get fussy when they are tired, so problems can be especially frustrating for them to deal with when they are already trying to process other feelings. A good cry or tantrum could take a lot of energy out of them, even if it is just a small or short burst, allowing them to sleep much better once they finally calm down. For kids who are still learning how to process their feelings, getting it out by crying can help to put them in a calmer mood once they are finished, allowing them to either sleep or relax a little before going about their day. Tantrums can often come after a “no” to something they want, and that can be a positive thing in the long run. By saying “no”, you are giving your child clear boundaries, especially when it comes to acceptable versus non-acceptable behavior. This is why it is important not to avoid saying no because you know it will lead to a tantrum. Saying “no” when needed can help in the long term, even if it isn’t convenient for you in the short term.